If you are having your flat roof replaced it makes good sense to upgrade the insulation at the same time as this may be the only practical time to do so. Insulating a flat roof can deliver real benefits, a warmer room in the winter and cooler in the summer as it works both ways, lower energy bills and improved carbon emissions. 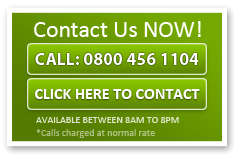 Current building regulations can mean that insulation upgrade is compulsory to create Energy Efficient Roofing. This is the most common form of construction but is also the least thermally efficient. 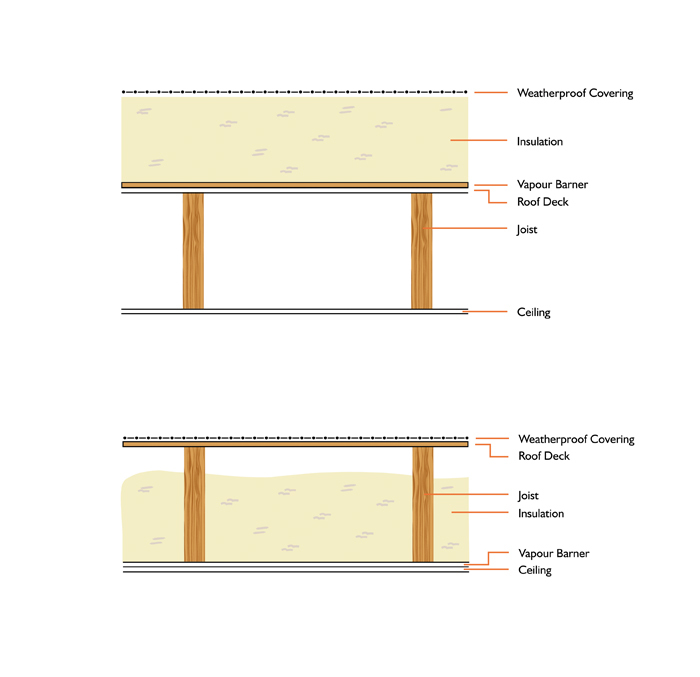 This is the current up to date method of insulating a flat roof construction and is advised to be used when ever possible, although not all roof structures can accommodate this design. This method is particularly useful on roofs with smaller structural supporting timbers such as Dormer type roofs. From the ceiling up the build up is as follows, the roof joists support the roof construction and the internal ceiling is attached to the underside, on top of the joists the sub deck is fastened. 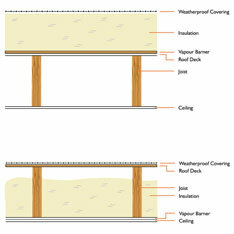 A vapour barrier sheet is then laid over the deck. And the appropriate thickness of insulation is fastened to the roof sub deck and now the waterproof layer can now be installed. A big benefit of this method of insulating is that it alleviates the formation of condensation in the roof void, and complies with current building control regulation.